Case prepared by Leila Rharade, LL.M student at Geneva Academy, under the supervision of Professor Marco Sassòli and Ms. Yvette Issar, research assistant, both at the University of Geneva. As the people of Syria continue to endure incalculable human suffering and loss, their country’s rich tapestry of cultural heritage is being ripped to shreds. World Heritage sites have suffered considerable and sometimes irreversible damage. Four of them are being used for military purposes or have been transformed into battlefields: Palmyra; the Crac des Chevaliers; the Saint Simeon Church in the Ancient villages of Northern Syria; and Aleppo, including the Aleppo Citadel. Archaeological sites are being systematically looted and the illicit trafficking of cultural objects has reached unprecedented levels. There are alarming reports that Syrian heritage has been deliberately targeted for ideological reasons. Human representations in art are being destroyed by extremist groups intent on eradicating unique testimonies of Syria’s rich cultural diversity. All layers of Syrian culture are now under attack -- including pre-Christian, Christian and Muslim. The destruction of such precious heritage gravely affects the identity and history of the Syrian people and all humanity, damaging the foundations of society for many years to come. The protection of cultural heritage, both tangible and intangible, is inseparable from the protection of human lives, and should be an integral part of humanitarian and peacebuilding efforts. [a] We call on all parties to halt immediately all destruction of Syrian heritage, and to save Syria’s rich social mosaic and cultural heritage by protecting its World Heritage Sites, in line with UN Security Council Resolution 2139, adopted on 22 January 2014. [b] We condemn the use of cultural sites for military purposes and call on all parties to the conflict to uphold international obligations, notably the 1954 Hague Convention for the protection of cultural property in the event of Armed Conflict and customary international humanitarian law. [c] We appeal to all countries and professional bodies involved in customs, trade and the art market, as well as individuals and tourists, to be on alert for stolen Syrian artifacts, to verify the origin of cultural property that might be illegally imported, exported and/or offered for sale, and to adhere to the UNESCO 1970 Convention on illicit trafficking of cultural property. Our efforts to save Syria’s cultural heritage must be part of wider efforts to end violence and move to peace. Destroying the inheritance of the past robs future generations of a powerful legacy, deepens hatred and despair and undermines all attempts to foster reconciliation. Now is the time to stop the destruction, build peace and protect our common heritage. The Syrian cultural heritage community suffered two immense blows within one week with the murder of archaeologist Khaled Assad in Palmyra and the killing of the Assistant Director of laboratories at the Directorate General of Antiquities and Museums Qasem Abdullah Yehiya. According to news reports, the 82-year old archaeologist had been recently killed at the site, where he had worked for more than 50 years. Asaad had been held for more than a month and, according to these reports, was being questioned about the location of valuable artefacts. The Director-General was also saddened to learn of the killing of Qasem Abdullah Yehiya. According to the Directorate General of Antiquities and Museums (DGAM), Yehiya, the Assistant Director of laboratories at the DGAM, died in a rocket attack on the Damascus Citadel and the National Museum last week. “The killing of Mr. Yehiya is a deplorable act, made all the more senseless that it was the result of an attack on the museum and ancient citadel,” Director-General Bokova said. “The untimely deaths of Mr. Assad and Mr. Yehiya are a terrible loss to the cultural heritage community in Syria and globally,” the Director-General added. The Damascus Citadel and museum were damaged in the attack and a number of museum employees were also injured. The Ancient City of Damascus, including the Citadel, was inscribed as a UNESCO World Heritage site in 1979. Daesh took control of Palmyra in May. It was inscribed as a UNESCO World Heritage site in 1980. How would you classify the conflict in Syria between the State armed forces and “extremist groups”? What additional information would you need, if any, to assist your determination of the character of the conflict? Does the fact that Daesh refers to itself as Islamic State affect the characterization of the conflict? What is the law applicable to the instances of destruction and killing cited in the documents? Is the law binding on both States and non-state armed groups? a. What is the status of Professor Khaled al-Assaad and Qasem Abdullah Yehiya under IHL? In what way, if any, does the fact that Professor al-Assaad, as opposed to Qasem Abdullah Yehiya, was held for a month before he was killed affect the law applicable to him under IHL and the evaluation of whether his death involved a violation of IHL? b. Under what circumstances could Qasem Abdullah Yehiya have been a legitimate target under IHL? If he was not, did his death necessarily involve a violation of IHL? c. Does the fact that both were working to protect cultural heritage matter under IHL? a. What kinds of objects and sites constitute cultural property? Are only attacks against religious objects prohibited? In Document A para. 6 there is a reference to “intangible” cultural heritage. Is it possible to “damage” or “destroy” something intangible? Do IHL rules apply to such forms of cultural heritage? What would such protection resemble in practice? 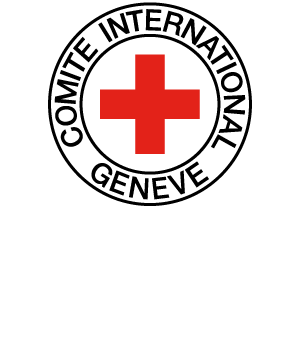 How are persons contributing to intangible cultural heritage protected by IHL? d. What significance does the listing of cultural property on the UNESCO World Heritage list have under IHL? Is cultural property protected even if it is not included in the UNESCO World Heritage list? b. Are Protocols I and II to The Hague Convention on the Protection of Cultural Property applicable to our case?